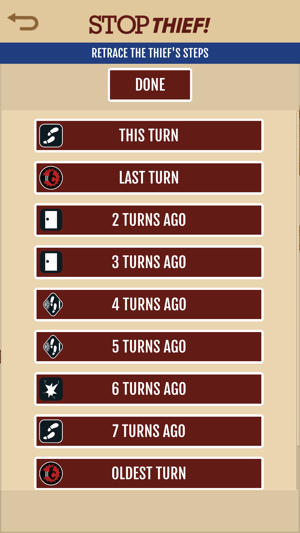 This is the companion app for Restoration Games. We are a developer of tabletop games, including "hybrid" games that use an app and physical components together to create a unique experience at the table. 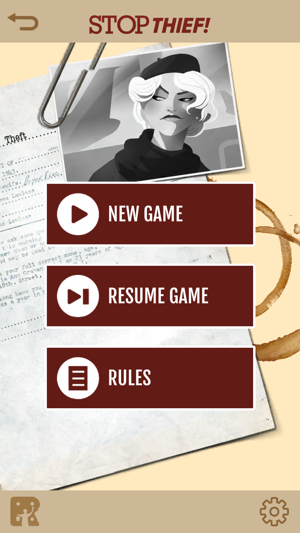 The app features modules for different games, including the 1979 classic game of audio deduction, Stop Thief! This app is required to play Stop Thief! 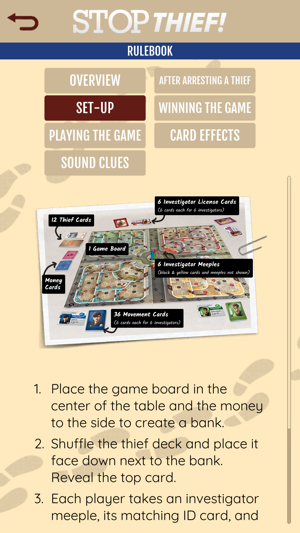 In the game, players are investigators, trying to track down an invisible thief on the board. The app keeps track of how and where the thief moves and plays sound clues and animations indicating the type of space they move into, such as window, door, corridor, and so forth. 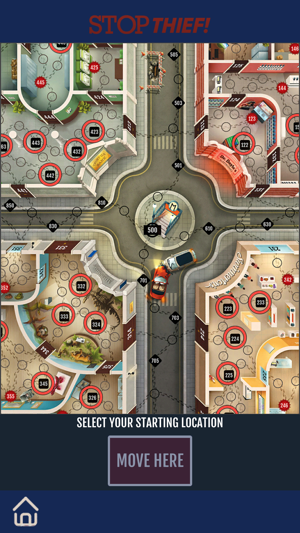 By listening to the clues, players try to figure out where the thief is and move there to attempt an arrest. Punch in the number of the space, and the app will tell you if you succeeded or not. 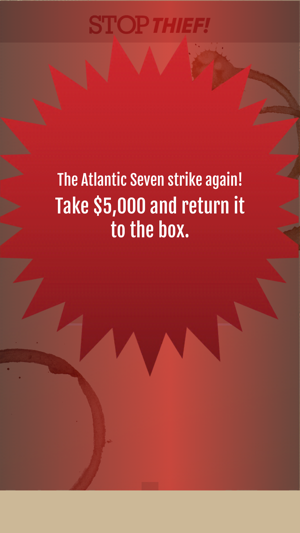 The app features alternate play styles, such as an intermediate level, where the clues are harder, and even a retro mode that emulates the sounds of the original device. You can even get a private tip: Pick up the device and get information about the thief's location that's only for you. 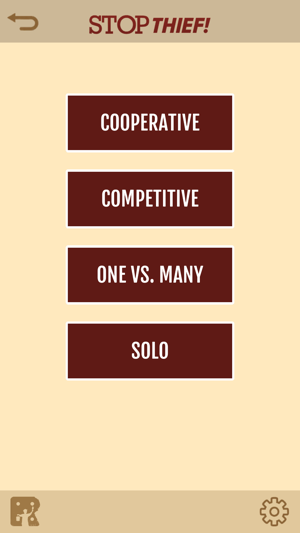 Additional modes of play, such as solo and cooperative, are coming soon, along with even more challenging difficulty levels. New content will be added to the app all the time, including modules for new games, updated content for existing modules, new play modes or difficulty levels, and more. Added the new module for Fireball Island, featuring: a soundtrack, scorepad, first-player chooser, and token randomizer. More to come! 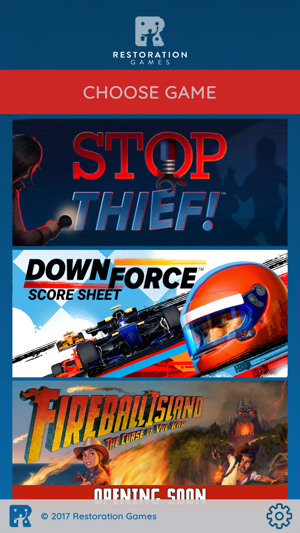 First, the app has both Downforce and Stop Thief, both of which are great games and Restoration Games did an excellent job with the remakes. 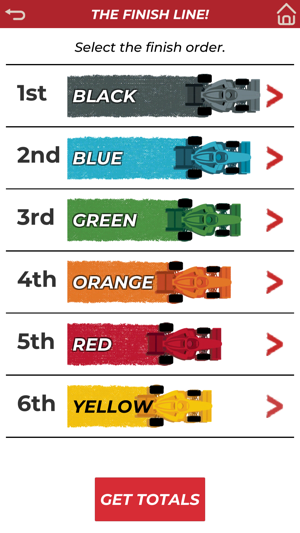 Would love more functionality for Downforce to allow all players to keep score on the same phone, but that would just be a bonus. As far as Stop Thief, it starts out ok. 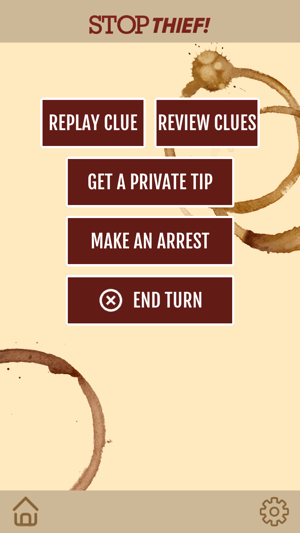 But, somewhere in the middle of the game, the clue that is given isn't correct and the only way to get the actual clue that was supposed to be given is to hit the "replay clue" button and replay the most recent one. That's a huge buzzkill and we had to figure that out the hard way after no one could figure out how in the world the thief ended up where they were. Once that is fixed, this will be a great app. 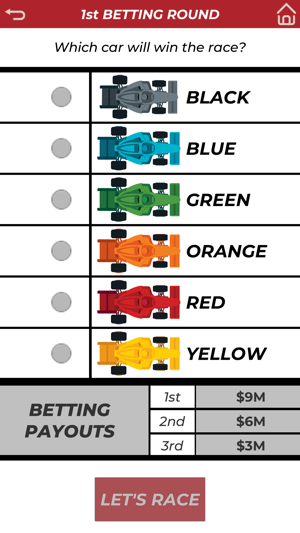 Again, would like that additional usage for multiple players for Downforce too. We got stop thief and the app was great for playing it but then I downloaded the game to play again and this update got us really confused because it doesn’t go along with the board game at all because there are gangs and the crimes are committed and we don’t know where and the private tips don’t help at all they only tell the first number and that’s it. The older version was great and was fun to play but this new update just isn’t fun at all if you have no clue what is going on or what to do. Great remake of a classic! 30+ years ago I remember playing Stop Thief as a child. The new version of the board game replaces an electronic device with this app. The app works great and the board game is fantastic. My wife and I loved the attention to details on the board game, my 8-yo was the perfect age to play, and my 5-yo was able to play with relaxed rules (we just let her move where she wanted.) my only wish for the app is that the name of the app was actually Stop Thief so that it could be found easier.